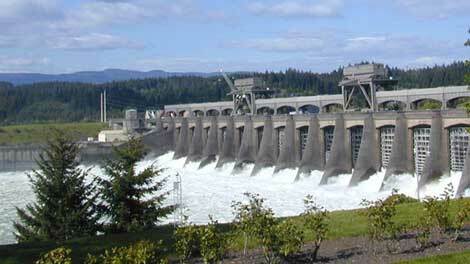 PORTLAND - A detour was in place Friday for river traffic at the Bonneville Dam navigation lock at milepost 145 after the gate was damaged, according to a statement from the U.S. Army Corps of Engineers. Commercial and recreational mariners were notified that operation of the lock "was significantly curtailed due to damage to the upstream gate." The lock had been scheduled to reopen to all traffic Friday, just before midnight. But the Corps noted that it could take until March 21 to perform the necessary repairs. "The Corps is coordinating with commercial barge lines to accommodate critical lockage needs over the next few days using alternate upstream barriers," the statement read. "Lockage times are likely to be three to six times longer than usual." The gate was damaged during a routine debris flush through the lock. The top of the gate buckled under high water pressure when drain valves failed to close. The Corps continued to investigate the cause and extent of the damage and expected to issue an update March 21.